This website is the responsibility of Shoes and Clothes for Kids. You can contact us by e-mail at info@sc4k.org or by regular mail to 3500 Lorain #301, Cleveland OH 44113. 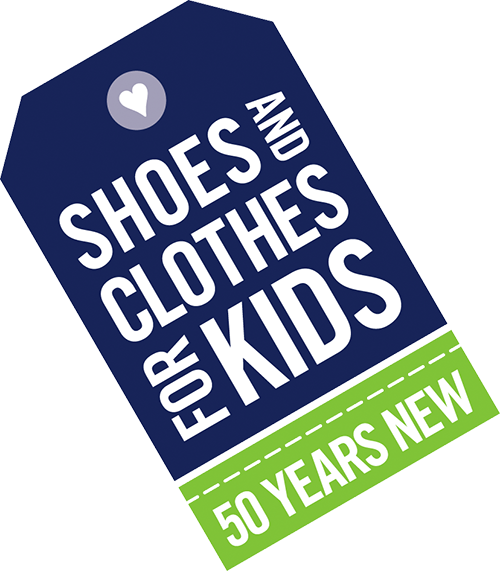 Shoes and Clothes for Kids stores its donor information in a database. Credit card information is stored on a secure server. We restrict access to your personal information to those employees who need to know that information to process your donation as well as to assist us in customizing the content of our site to provide information that may be of interest to you. Shoes and Clothes for Kids does not currently sell or rent your personally identifiable information to other companies. We do, however, reserve the right to do so and will not notify you or obtain your consent prior to sharing, selling or otherwise disclosing your personal information to third parties. The importance of security for all personally identifiable information associated with our users is of great concern to us. Financial information, if collected, is transmitted from your computer to our server using encryption software. Only those employees who need access to our users' information to process your order are allowed access, as described above. All donations and payments to Shoes and Clothes for Kids are final. We are not, however, responsible for other website's privacy practices or website content. Occasionally, you may receive cookies from third party advertisers, partners and vendors. We do not control these cookies. You may opt-out of having your personal information collected by contacting us by e-mail at info@sc4k.org or by regular mail at 3500 Lorain #301, Cleveland OH 44113. Please note that in order to fulfill certain obligations, we may need to continue sending you notices or other important information concerning any information you previously requested.